From old wives' tales to internet legends, home remedies for acne abound. If you're tired of dealing with skin issues and don't want to spend your money or time searching for new products, consider trying these simple at-home remedies for acne and blackheads. Unfortunately, there are no hard and fast rules about home remedies for acne. Some people have, in fact, had excellent results using common household ingredients. Others, however, haven't had the same luck. Since there are no real studies done on these, it is difficult to measure their success. The best approach is to try one of these remedies for a few weeks and it if doesn't work, move on to the next one until you find what works best with your skin. Apply the mixture to any areas with scarring or breakouts. Anyone with dry skin should wash off the paste after fifteen to twenty minutes. Those with normal to oily skin can leave it on overnight. The time it takes to see results will vary from person to person. However, you will likely notice blemishes and clogged pores improve before you see acne scars start to fade. Apply the mixture with a face cloth or cotton ball all over. This should be done following your normal cleansing routine. Witch hazel can also be applied as a spot treatment for more stubborn blemishes two to three times per day. This should be seen as a long-term addition to your skin care routine rather than a quick fix. Some reviewers on Acne.org found that incorporating witch hazel into their daily routines caused a flare up within the first week of use but resulted in fewer breakouts over time. Orange Peel: Mix pounded orange peel with water and rub the mixture directly on areas with acne and rinse away after two to three minutes. If you find this treatment too harsh for your skin, use it as a compress in a poultice. Lemon Juice: Lemon juice can be applied directly to blemishes or spots several times a day. Dab a cotton ball into the juice, apply to needed areas, and rinse your face with water. Mix Lemon and Rose Water: Another option is to mix equal parts lemon juice and rose water and rub the mixture on the skin as a freshener. This is gentle enough to be used twice a day. Citrus fruits can be effective at healing acne, and according to a Fashion Spot article on clearing acne scars, it can take as little as two weeks to start seeing results. Cinnamon and Lemon: Mix equal parts cinnamon powder and lemon juice. Apply the mixture directly on pimples, then rinse after a couple of minutes. Cinnamon and Milk: Mix cinnamon powder with milk, and rub on affected areas. Leave it in place for five to 10 minutes then rinse with cool water. These masks work well to combat breakouts and redness associated with acne, but will cause a burning sensation for the first minute or two. Always do a patch test to ensure your skin can handle this treatment. As for results, they tend to appear after a week or so of use. Peel the skin off of a cucumber. Apply all over and rinse off after thirty minutes. Another option is to apply cucumber juice to the skin using a cotton ball. Results may appear within a few days (with redness minimized) or it might take several months (to fully heal breakouts), depending on the severity. 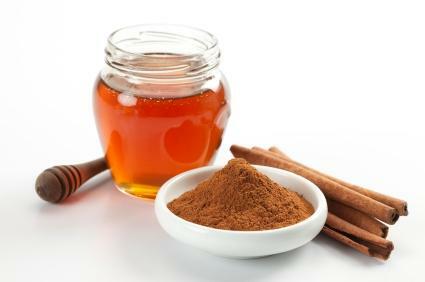 Combine two tablespoons of honey and mix it with one teaspoon of cinnamon. Use a cotton swab to apply the mixture directly to blemishes. Leave on for thirty minutes and rinse with warm water. Similar to the cinnamon mask, using honey can soothe the skin and help with redness. The time it takes to see results will vary but often appear after the first week. Rubbing aloe vera juice directly over the affected area. After a few minutes, rinse away completely. Aloe can be used alone or combined with other ingredients like honey, lemon, and coconut oil. Find what works for your skin through the process of elimination. Just remember that it may take several days (or even up to a few weeks) for results to appear. Wash the affected area first with your regular cleanser. Dip a clean cotton swab into the tea tree oil and then dab it directly on the acne. Do not rinse away. Instead, leave the oil to do its work. Be aware that overusing tea tree oil (by applying it multiple times a day) can dry out the skin. This at-home remedy can also make skin more sensitive to UV rays, so be mindful before you head outside. 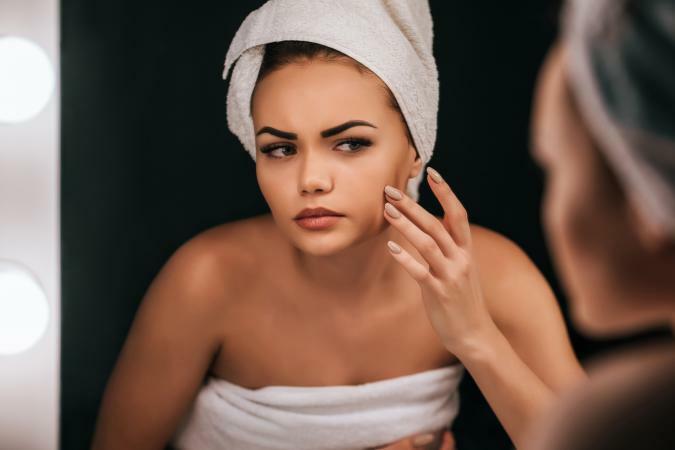 It will likely take several weeks or months to see results, but could be sooner, depending on the severity of the acne and associated symptoms. 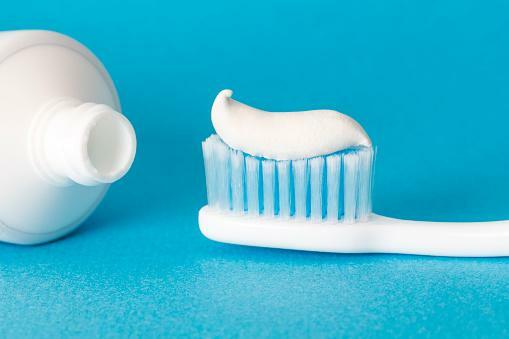 Dab a small amount of mint toothpaste over existing pimples. Leave on overnight or for a couple of hours if you have sensitive skin. Rinse off in the morning with cold water. Many people who use this treatment method refer to it as a quick fix, as results are often seen after one day. Just be sure to avoid gel toothpastes as they are less effective at treating acne-related issues. Peel garlic cloves and rub all over the skin. Alternatively, grate a clove and mix it with 2 tablespoons of water. Massage onto the skin and rinse with warm water. Though this can be an effective method (with some users claiming it removed blemishes almost instantly) it can also leave a garlic odor on your skin. You may wish to use this in the evening to allow the odor to fade. Drink two cups per day and within three months, acne related inflammation may be reduced by up to 50 percent. Steep a tea bag in hot water, remove the tea bag, and use a cotton ball to dab the tea all over your face. Another more concentrated method is to use the actual steeped tea bag on the site of your acne breakout. Just leave the bag on the affected area for about ten minutes and rinse away residue. Drinking or applying peppermint tea to blemishes can take anywhere from a few weeks to three months to show results. Be patient and over time, you will start to see clearer skin. Cook whole oats according to package directions, but be sure to use water rather than milk. Allow the oats to cool completely. Apply the cooked oats to all affected areas. Leave the oat mixture on the skin for approximately 15 minutes, and remove with a warm, wet washcloth. To improve the effects, create a DIY Oatmeal mask with honey. The combination of the anti-inflammatory oats and antiseptic honey will speed up results, with many people seeing them within a few weeks. Wash your face and dry completely. Apply a small amount of plain yogurt to your problem areas and rub into the skin in a circular motion. Sleep with the yogurt on overnight and wash your face the next morning. Or, if you prefer, wash off the yogurt after 30 minutes. Many online reviewers who used this saw quick results with softer, smoother skin in just one day, and clearer skin in about two weeks. Mix equal parts water and baking soda until you form a loose paste. Once the mixture is dry, remove it with a warm, damp cloth. This method is best done on a freshly cleaned face just before bed. Though this home remedy can be effective, it can also be harsh on the skin. Do a test patch first and if there is a reaction, mix vitamin E oil into your paste. 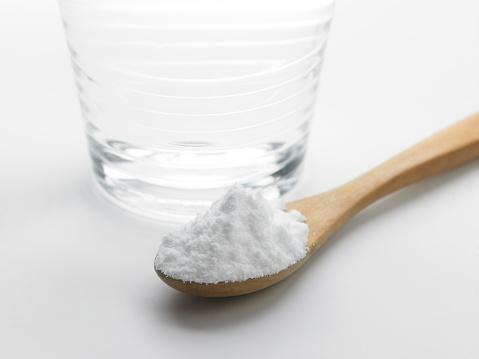 Baking soda tends to deliver quick results but be sure to apply it only two or three times a week to avoid causing unwanted irritation. Dip a cotton swab into the egg white and dab it on acne bumps. Leave the yolk on for 20 to 30 minutes, then wash it away. Be careful not to get egg whites in your mouth or eyes. Some people have allergies to eggs, so if you have had some type of allergic reaction to egg products in the past, skip this at-home remedy. Using this treatment once or twice a week should deliver results within a few months. Dampen your skin with a warm cloth. Pour a few tablespoons of the liquid into a cup. Dip your washcloth in the cup, then apply the magnesium hydroxide to your face in a thin layer. Leave the mask on for 10 to 15 minutes and then rinse it away with lukewarm water. This treatment is becoming increasingly well-known for its fast results. Many users saw clearer skin within a few days to a week of continued use. Massage a small amount of coconut oil between your fingers to melt. Rub it onto the face, focusing on problem areas. Leave on and let it sink into the skin for twenty to thirty minutes. Use a gentle cleanser to remove excess oil without drying out the skin. 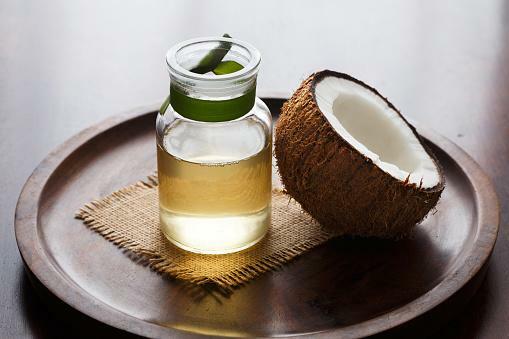 Those with oily skin should be careful using coconut oil as an acne treatment as it can make the problem worse. So, do a patch test or rinse away the oil after five to ten minutes. This product can be a wonderful addition to your skin care routine, as it can heal scars and reduce inflammation, but it may take several weeks or months for results to become noticeable. It might be the simplest of at home remedies for acne and blackheads, but following a proper diet and living a healthy lifestyle can go a long way to curing your acne problems. Drinking plenty of water, eating fresh fruits and vegetables, and reducing your intake of sugar and alcohol can significantly improve the look and feel of your skin. If you experience irritation or discomfort with any of these remedies, rinse your skin immediately and discontinue use. Redness can often be alleviated by a dab of over-the-counter hydrocortisone cream, while a compress soaked in cool water and gently pressed over the blemish may diminish any lingering aggravation. There are many home remedies for acne available for acne sufferers, but not all of them are perfect for all types of skin. The key is to monitor your skin carefully while trying them. Don't mix your remedies; only try one at a time and use them for a few weeks before you give up. Most acne treatments take 3-4 weeks to work.